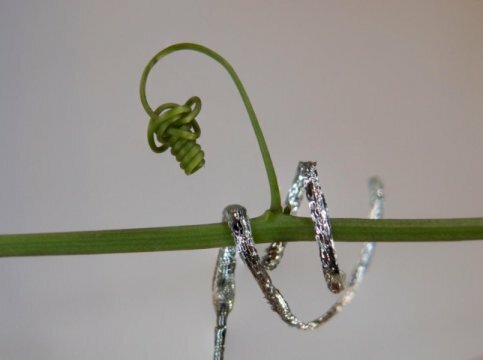 Researchers have made the first soft robot mimicking plant tendrils: it is able to curl and climb, using the same physical principles determining water transport in plants. In the future this tendril-like soft robot could inspire the development of wearable devices, such as soft braces, able to actively morph their shape. In this context, Mazzolai and her research team are involved as coordinator in a new project, named "GrowBot," which is funded by the European Commission under the FET Proactive program, and it envisages the development of a robot that is able to manage its growth and adaptation to the surrounding environment with the capability to recognize the surfaces to which it attaches, or the supports to which it anchors. Just like the real climbing plants do. Materials provided by Istituto Italiano di Tecnologia - IIT. Note: Content may be edited for style and length.